Welcome to my blog for the American Crafts Blog Hop! I'm so excited to share a project about LOVE with you today. It's about love for shoes! I used the Dear Lizzy Polka Dot Party collection for most of this project. I've been anxious to try die-cutting some of the transparencies with my Silhouette. It worked amazingly well! The little hearts are adorable. I hand stitched with red thread around them to make them stand out against the white background. And here's the final project! I simply adore how it turned out! Now, even though my little lady's shoes are gone we'll have the memory documented in her scrapbook. Now you're off to the amazing Ashley Horton's blog. I know she'll have something incredible to share with you today! Thanks for stopping by! Please click the blue button to the right that says "join this site" so you won't miss any blog posts! This is fabulous, Becki! 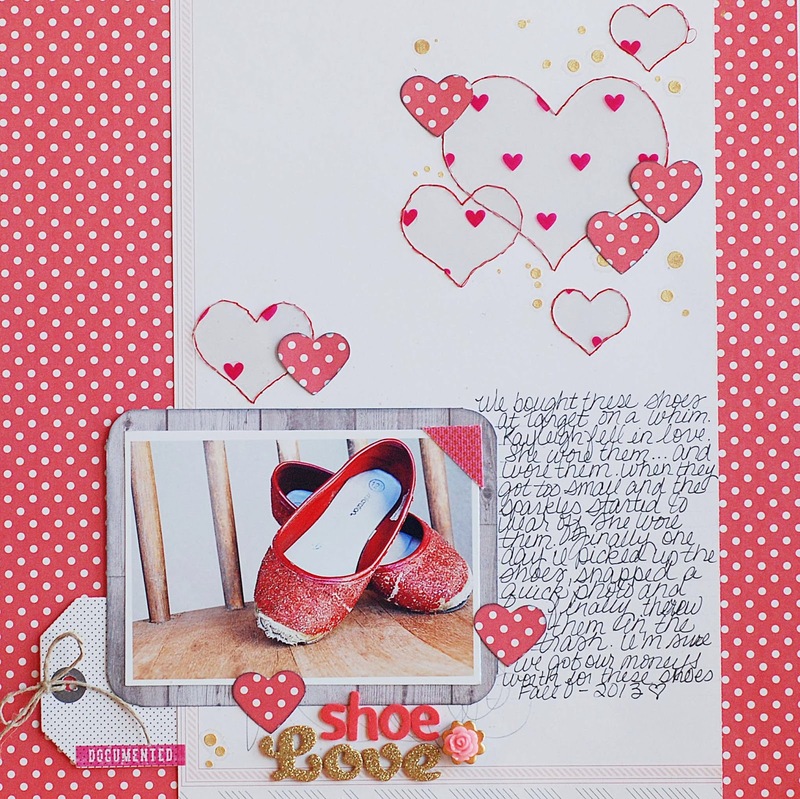 Love the vellum stitched hearts! this is GREAT! LOVe that you scrapped about shoes! Cute page - especially stitched hearts. Such a cute page Becki! Love how you cut the transparency and stitched around the hearts! Your journaling reminded me of several special outfits that my kids used to wear (over and over and over!). Who says a "love" layout has to be about people? ;) This page is awesome. Your layout is too cute. I love the way you positioned the shoes for the photo. Beautiful, Becki! I love the red and the polka dots! We have some shoes that look like that too! Love that you are documenting this and loving the hand stitching! That is too cute! Need to do a page like it! What a fun, happy layout. I have family members that have some of the funkiest shoes - I am always taking pictures of their shoes! This is a great layout! Love the idea behind this layout! Great job with the stitched hearts. Great Idea!!! I make a note on my to do list!!! FABULOUS layout Becki - SUPER CLEVER too!!! 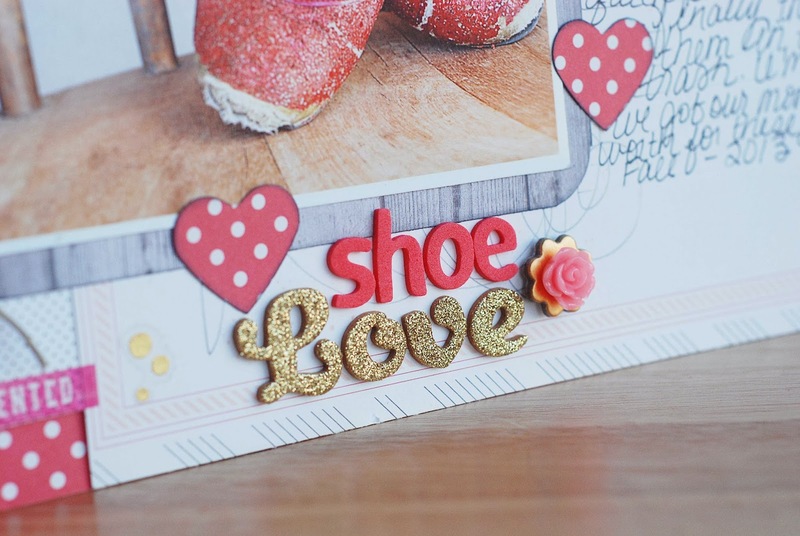 Just think of all the everyday & special moments that this photo & page will help you remember forever - LOVE your hearts, stitching & colour combo too, the splash of gold makes the other red & white pop!!! Red sparkly shoes, oh my! ha ha, that is some shoe love! Adorable! love the layout! I have pictures like this one, great idea! seriously, who doesn't love red glittery shoes?! fantastic layout! This is so eye catching. Love the stitched hearts. They really bring the layout together. Love the stitched hearts. Wonderful layout. I have a friend who loves shoes and she would adore this page. 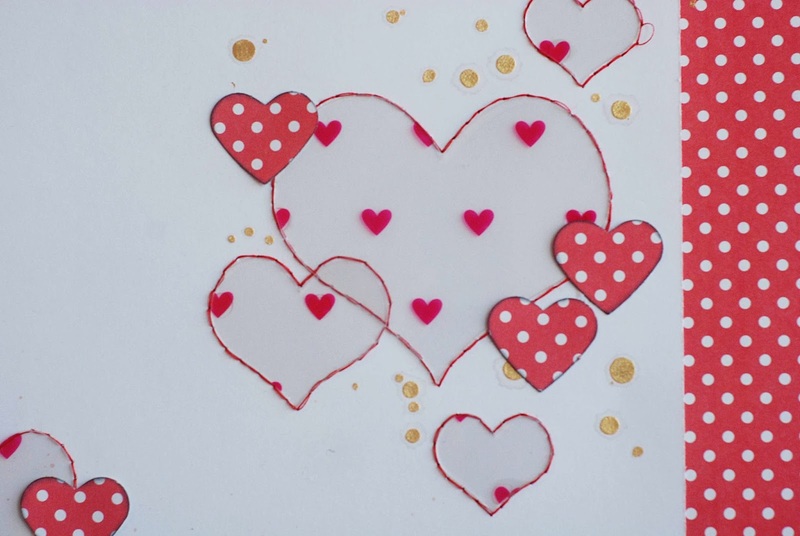 So cool how you stitched around your hearts! What a great thing to scrap about!! My daughter has phases of only wanting to wear one pair of shoes! I am completely in love with those stitched hearts! Those stitched hearts are amazing and love the colors for this layout!! Awesome! Pretty layout! I love the stitched hearts and polka dot patterned paper. What a sweet, sweet layout.......and creative too! Love it! The stitching around the hearts is perfect! Such a sweet little story to tell...so great that you thought to snap a photo of them all worn & loved!! This layout is so adorable! I love this Becki! Those stitched hearts are incredible! Love the shoe idea. Looks like my daughter's overloved shoe faves. Nice lo! I love how stitching works here!